I first thought about being a sportswriter when I was 7 years old and NFL legend Earl Campbell came to my elementary school in the prime of his career. I got to introduce him before his speech. As it happens, I spent a good dozen years as a sportswriter, another four years writing about tennis, and the last four writing about golf. 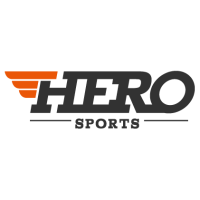 For the last month, HERO Sports has given me the opportunity to get back into writing about college sports and it’s been an absolute treat, catching up on the NCAA basketball, baseball, and softball scene, while also getting to use my love of history to delve into some “Top 10” and “all-time” lists for the guys at HERO.